What Else Can I Expect From an Online MBA Program? Do All MBA Programs Require the GMAT? The master of business administration, or MBA, is one of the most highly sought-after graduate degrees in the country. The versatile curriculum prepares students to work in a wide range of industries, and the degree offers a strong return-on-investment (ROI) due to the high earning potential among graduates. Entry-level workers with an MBA earn up to 22% more than peers with only a bachelor's degree. Many online MBA programs are highly regarded and allow students to earn their degree while working full time. To impress employers, be sure to enroll in an accredited program. Read more here.. While tuition depends on a variety of factors such as residency status, online MBA programs usually cost somewhere between $35,000 and $50,000. Read more here..
For admission to an online MBA program, students must usually have a bachelor's degree and professional experience. Many programs also have prerequisite course requirements. Read more here..
HOW LONG DOES IT TAKE TO GET YOUR MBA ONLINE? Most online MBA programs can be completed in 18 months to two years of full-time study. Read more here..
Online MBA students enjoy greater flexibility and can complete coursework at any time of day. Online MBA programs also tend to be cheaper than residential programs. Read more here..
Job prospects for students holding MBAs are strong and continue to grow; according to a recent report from the Graduate Management Admission Council, around 88% of corporate recruiters said they planned on hiring recent MBA grads in the year 2016 -- up 8% from the year before. A U.S. News report found in its most recent annual survey that the average employment rate for 2017 MBA graduates three months after graduation was around 84%. While many follow a traditional track and earn their MBA from a brick-and-mortar business school, a growing number of students are choosing to enroll in online MBA programs. This convenient, cost-effective alternative is ideal for learners who wish to pursue an advanced degree but are forced to juggle their education with other major commitments, such as employment or childcare. Learn more about what you can do with an online MBA and what kind of career opportunities you can look forward to with this comprehensive guide. WILL AN ONLINE MBA PROGRAM PROVIDE ME WITH THE SKILLS I NEED TO ADVANCE MY CAREER? The best online MBA programs build on the foundational knowledge of undergraduate studies and introduce more advanced concepts related to business management and administration. In order to earn a degree specialization, students must complete entire course sequences in the niche area of business that most interests them. Many programs also culminate in a master's thesis or capstone course; these final projects allow students to demonstrate the knowledge and skills they have acquired over the course of their MBA studies. Internships are widely available to MBA students, as well. WILL AN ONLINE MBA WORK WITH MY SCHEDULE? MBA online programs are designed to be flexible and easy to access. Students can download course materials, submit written assignments, take exams, and communicate with their professors any time of day from the comfort of their personal computer. Additionally, they will be able to study away from home using a laptop, tablet, smartphone, or other device with Wi-Fi capabilities. Course faculty will also offer consultations for students who are composing a master's thesis or capstone project. WHAT JOBS CAN I GET WITH MY MBA? The Bureau of Labor Statistics notes that a bachelor's is considered the minimum education requirement for many management titles. These include high-salary roles like top executives, financial managers, and human resources managers. MBA graduates are often considered top candidates for these positions, as well as top-level jobs reserved for applicants with an advanced degree. On the other hand, those who earn an MBA with a specialization in entrepreneurship will be qualified to launch businesses of their own or provide their services to a startup enterprise. Choosing a program is an incredibly personal decision, and only you can properly evaluate whether a target school's strengths match your educational needs. The following ranked list of schools should serve as a helpful starting point in your search for the best online MBA programs in the United States. If you are considering an online MBA, be sure to contact admissions specialists at different colleges and universities to learn more their about specific requirements and offerings. Launched in 2014, the University of Florida Online represents one of the nation's top research institutions. U.S. News & World Report ranks UF Online as No. 5 among the nation's best online colleges, highly rating the school's business programs, specifically. Students from all over the world convene to earn an MBA from UF through the university's versatile program, which boasts a great reputation and three degree completion options. Many students choose to complete the degree fully online, with no campus visits, in 24 months. Alternately, they may also choose a hybrid option, which lasts either 16 months or 27 months and includes weekend campus visits every four months. The 48-credit degree examines business principles and processes, such as the economics of business decisions, financial and managerial accounting, and operations management. The online MBA later develops learners' proficiencies in areas such as brand management, entrepreneurship and venture finance, and global strategic management. Faculty expect learners to complete an experiential learning experience, such as a business simulation or a consulting project. Some students prefer a global immersion experience to learn about conducting business abroad. Students in the online MBA benefit from small cohorts that foster personalized learning and networking. When they graduate, they join more than 9,000 UF MBA alumni. Students pay the same tuition rate, regardless of residency. Admission requires school transcripts, the GMAT (though the GRE is accepted in some cases), and at least two years of full-time professional work experience. Note that MBA applicants at UF possess an average 3.4 GPA. The online MBA is fully accredited by the Association to Advance Collegiate Schools of Business. The nation's first public college, the University of North Carolina at Chapel Hill enrolls almost 30,000 students from all 50 states and 165 countries. U.S. News & World Report ranks the school No. 5 among public colleges. Students receive a rigorous education in classrooms featuring a student-to-faculty ratio of 13-to-1. Distance learners can earn an MBA from the elite UNC Kenan-Flagler business school. Students complete one of the nation's top online MBA programs while maintaining work obligations. The program enrolls a diverse body of students who typically complete the 62-credit MBA in 18-36 months. The degree's core curriculum focuses on areas such as operations, financial accounting, business strategy, and strategic economics. Students tailor the degree to meet their career interests through concentrations in entrepreneurship, finance, or data analytics and decision-making. In another concentration, faculty employ guided practices and exercises to prepare students for roles as business consultants or corporate strategists. Students meet online every week for collaboration sessions, which build on lessons learned. A unique feature -- global immersions -- places learners in major business hubs around the globe to participate in hands-on experiences with peers and prominent business leaders. Students receive access to leadership development services that feature executive mentoring and consulting opportunities. All students pay the same tuition rates, regardless of their state of residence. Applicants must submit GRE or GMAT scores, though those with at least six years of professional experience may qualify for a waiver. The program enrolls students starting in January, April, July, and October. The online MBA is fully accredited by the Association to Advance Collegiate Schools of Business. Johns Hopkins University is the nation's first college dedicated to research. The school, which comprises nine academic divisions, reinforces that emphasis by putting more money into research than any other college in the United States. Some of the school's graduate programs count among the nation's best, according to U.S. News & World Report. The school's MBA program offers multiple learning formats, including a part-time, flexible MBA for busy nontraditional learners. Students complete the 54-credit program on campus, online, or in a hybrid format, taking a little over 2.5 years on average. Students use traditional and project-based learning to examine topics such as business law, decision models, corporate finance, and operations management. The flexible MBA offers online concentration options in marketing, financial businesses, leading organizations, and healthcare management. Three courses require Baltimore campus residencies during which students participate in learning activities and network with peers, faculty, and business leaders. Those who choose the hybrid format take some classes in the evenings and on Saturdays in either Baltimore or Washington, D.C. Faculty teach the program using both synchronous and asynchronous learning activities over eight-week terms. The school boasts positive graduate outcomes, including a catalog of respected government agencies and companies in various industries that hire recent graduates. All students in this online MBA program pay the same tuition rates, regardless of their state of residency. Admission requires school transcripts, with GMAT waivers available. The school employs a three-round process to accept applicants. The online MBA is fully accredited by the Association to Advance Collegiate Schools of Business. The University of Virginia was founded by Thomas Jefferson in 1819. The college's 11 schools enroll more than 22,000 students. The school enjoys many accolades, including ranking on U.S. News & World Report's lists for best-value colleges and top national universities. The business school offers an executive MBA (EMBA) and global executive MBA (GEMBA), that blend in-person and online learning. At the beginning of the programs, faculty assign students to cross-functional teams comprising five or six students. Through Zoom Meeting technology, students link up with faculty and peers on Tuesday and Thursday evenings to share screens and use conference calls to participate in discussions. Between classes, students meet with their teams to collaborate and prepare deliverables. Faculty use the case method to examine topics in the EMBA core curriculum. Students study business ethics, accounting for managers, decision analysis, and operations management. A course examining strategic thinking and action analyzes the internal and external factors that impact an organization's strategy for success over time. Faculty deliver about 33% of the best online MBAs online. Students in both programs begin and end the program together in 21 months. EMBA and GEMBA students complete in-person classes at the Sands Family Grounds, a new Darden Business School state-of-the-art facility in Rosslyn, Virginia. All students also complete two week-long residencies in Charlottesville. Applicants must submit an executive assessment -- developed for MBA applicants by the Graduate Management Admission Council -- and the GMAT or GRE. The online EMBA and GEMBA are fully accredited by the Association to Advance Collegiate Schools of Business. Established more than 125 years ago, North Carolina State University at Raleigh maintains prominence in the science, technology, engineering, and math fields. The school boasts a long tradition of experiential learning, emphasizing a "learn by doing" philosophy. Students learn on campus in one of the nation's leading urban centers. They may pursue certain degrees, such as the MBA, online. U.S. News & World Report includes the school on several of its latest rankings, including for most innovative schools and best online MBA programs. The 40-credit Jenkins Professional Online MBA core covers subjects such as accounting, critical thinking for managers, people management, and data-driven managerial decisions. Students do not declare a concentration; instead, they use six credits to complete a depth requirement in a particular business area, thereby completing a specialization. They can continue to tailor the online MBA by using an additional nine elective credits. All students complete practicum courses and activities, which examine topics such as equity valuation and product design and development. Students can complete the MBA entirely online or enjoy the best of both worlds by completing some courses in Raleigh or at Research Triangle Park. The degree offers further flexibility with the choice of an accelerated or flexible program, which allows students the option to complete the degree in either 21 months or as many as six years. All students complete two, three-day residencies on campus in Raleigh. As students approach graduation, they use Jenkins MBA career resources staff for placement opportunities. Admission requires the GMAT, MAT, or GRE scores. The online MBA is fully accredited by the Association to Advance Collegiate Schools of Business. The University of Southern California enrolls about 47,000 students, many of whom study on a scenic campus in Los Angeles. USC offers distance learners an online MBA that incorporates expertise in distance delivery and a long track record training future business leaders. U.S. News & World Report ranks the program in the top five in its latest online MBA rankings. Students complete the MBA online in 21 months. Students enter the program in August or December, beginning their studies with a one-week session on campus that focuses on managerial roles. They complete the remaining courses online, examining topics such as the fundamentals of business, managing inside the firm, and the business environment and leadership. One course explores how to establish new business ventures on a global scale. The online MBA is fully accredited by the Association to Advance Collegiate Schools of Business. Faculty deliver the program using live, synchronous classes and asynchronous coursework that incorporates videos, case studies, and interactive components. The business school offers learners a unique opportunity to complete the MBA along with another master's, completely online. Dual degree options include the MBA/MS in gerontology and an MBA/master of social work program. All students pay the same tuition, and USC awards a limited number scholarships. Admission requires school transcripts, GRE or GMAT scores, and at least two years of work experience. One of New England's top colleges, Babson College boasts global recognition as a leader in entrepreneurship education. The school enrolls more than 3,000 students who study on four campuses and at the virtual college. U.S. News & World Report ranks Babson No. 1 for entrepreneurship programming. At Babson, working professionals complete the blended 45-credit MBA program on a part-time basis over 21 months -- or at their own pace. The MBA cultivates students' entrepreneurial mindsets and strategic management skills in order to help them advance their business careers or carve out new ones. Faculty weave experiential learning throughout the program, including real-world consulting projects with the school's business network. The online MBA curriculum requires a core for all students, covering topics such as financial reporting, entrepreneurship, marketing, and business analytics. Students use electives to customize their degree through concentrations in areas such as global management or finance. This curriculum offers learners curricular and cocurricular learning opportunities in areas such as family business, technology ventures, and a unique women's accelerator Women Innovating Now Lab. Faculty teach the blended program in a cohort format, which mandates that students complete the program's core courses online with their peers. Every seven weeks, learners travel to Wellesley to complete in-person sessions. Admission requires GMAT or GRE scores, with waivers available for some applicants. The blended MBA is fully accredited by the Association to Advance Collegiate Schools of Business. Founded by one of the nation's most successful industrialists, Carnegie Mellon University maintains a reputation as a hub of scholars, creators, and makers. The Pittsburgh school's cutting-edge curriculum spurs advancements in diverse fields such as robotics, data science, and innovative start-ups. U.S. News & World Report highly ranks the school's full-time and part-time MBA programs. Students enjoy the best of both worlds with a hybrid MBA, which they conveniently complete from anywhere. Faculty focus on leadership development and strategic analytics during synchronous classes, held two evenings each week. Learners study at their own pace, supplementing online learning with required access weekends, which occur six times a year in various locations. The MBA core focuses on advanced study in operations, finance, economics, and organizational behavior. Students learn to use analytical tools, such as prescriptive and predictive modeling, to address some of today's most complex business challenges. They tailor the degree with concentrations in accounting, operations research, and business strategy. Students further customize the degree with up to 10 electives, to complete tracks such as energy business. Through the Accelerate Leadership Center, online learners receive the same one-on-one coaching as those pursuing on-campus degrees. Coaches, instructors, and mentors at the center provide immersive leadership training and customized leadership workshops to ensure learner success. The school offers a select number of scholarships for students interested in the online MBA. Admission requires school transcripts and GMAT (preferred) or GRE scores. The hybrid MBA is fully accredited by the Association to Advance Collegiate Schools of Business. Since 1867, the University of Illinois at Urbana-Champaign has provided educational opportunities to students in east-central Illinois. A research powerhouse, the school enrolls learners from around the world in programs administered by 15 colleges. The school's notables include 24 Nobel Prize winners -- and as many Pulitzer Prize winners. U.S. News & World Report ranks the school one of America's best public colleges. The iMBA continues a tradition of academic excellence by providing learners with a rigorous business education, accessible from anywhere. Faculty establish virtual teams of learners from diverse academic and professional backgrounds who take classes and study together online. The 72-credit curriculum examines topics such as managerial accounting, managing organizations, financial management, and statistics for management decision-making. An investments course acquaints learners with portfolio theory, how to assess the performance of financial assets, and portfolio investment strategies. Faculty allocate 24 credits to examine special topics in the business field, addressing new issues each semester. The iMBA offers several specializations in areas such as digital marketing, financial marketing, and value chain management. Students complete a capstone that requires a deliverable -- such as a financial management plan -- based on their specialization. All students pay the same tuition rate regardless of their state of residence. The college lauds the MBA's affordability when measured against comparable MBA programs, and students require no additional travel expenses. Admission requires all school transcripts, GRE or GMAT scores, and relevant operational or managerial experience. The iMBA is fully accredited by the Association to Advance Collegiate Schools of Business. The University of South Florida operates on three campuses, including a main location in the heart of Tampa Bay. The three campuses serve 50,000 students in programs administered by 14 colleges. Full-time students earn the 32-credit MBA online in just four semesters -- and three years for part-time students. They begin the program with a three-course business foundation before progressing to the MBA core. The core curriculum programs covers topics such as financial analysis, strategic business analysis, and operations management and quality enhancement. Students can use 15 credits to customize the degree with one of three concentrations: cybersecurity, risk and anti-money laundering, and data analysis or compliance. The unique risk and anti-money laundering concentration caters to learners who plan to work in the financial services sector; the specialization covers four topics, including risk management and forensic accounting and legal compliance. Faculty give learners the option to complete an MBA practicum in place of three elective credits; to meet this requirement, students participate in a project at their place of work under the supervision of a manager and faculty. Students must attend a mandatory three-day orientation on campus at the start of the program and another three-day residency in the final semester. Students pay the same tuition rate regardless of residency. Admission requires a minimum 3.0 GPA in any major, GMAT or GRE scores, and at least five years of managerial experience. The MBA is fully accredited by the Association to Advance Collegiate Schools of Business. The University of Minnesota-Twin Cities is the flagship of a five-college system. The school's virtual college offers degrees specifically for nontraditional learners pursuing rigorous, affordable online degrees. The 52-credit MBA provides learners with an online curriculum comprising business fundamentals and specialized studies. Students begin the two-year curriculum with an on-campus residency and subsequently complete a recommended sequence of online courses. In the first year, they learn financial management, data analysis, strategic management, how to lead others, and how to conduct business in a data-driven age. They begin year two with a summer residency, followed by the second half of the curriculum, which covers business ethics and electives in areas such as digital marketing and project management. All students pursuing this degree must complete an international experience. Options include global banking in Europe, business in Dublin, or a business internship in Hong Kong. Students also benefit from access to other immersive opportunities, such as case competitions and career workshops. As students prepare for the workplace, they work virtually with a career coach or participate in on-campus recruiting opportunities. Minnesota, one of the nation's leading financial hubs, provides graduates with a vibrant center for banking, securities, and insurance. Nonresidents who take fewer than 11 credits per semester pay the same tuition rate as state residents. Admission requires GMAT or GRE scores, plus at least two years of relevant work experience. The program offers multiple start dates throughout the year. The MBA is fully accredited by the Association to Advance Collegiate Schools of Business. George Washington University provides learners with a world-class education on a campus nestled between the White House and the Kennedy Center. The school also offers programs through a virtual campus and at another campus a few miles from downtown Washington, D.C. GW enrolls 28,000 students in programs administered by 10 schools and colleges. The school's 55.5-credit MBA provides an online curriculum with an optional Washington, D.C. residency. Students study at their own pace, completing six credits per semester on average. Each course requires a one-hour synchronous session -- held weekly in the evenings or on weekends -- during which students listen to lectures, participate in discussions, and engage in group activities. The curriculum requires coursework in subjects such as financial accounting, operations management, global perspectives, and decision-making and data analysis. Students learn by doing through class projects, co-curricular experiences, and global and experiential opportunities. One of the top online MBA programs, the business degree offers an optional residency that allow learners to immerse in four days of learning and networking in Washington, D.C.
Students can complete the degree in three years, with an added 7.5-credit summer session. Those interested in specialized degrees may choose the online MBA in healthcare. All students pay the same tuition rate, regardless of their state of residence. Admission requires GRE or GMAT scores, with waivers available in some cases, plus at least two years of professional experience. The MBA is fully accredited by the Association to Advance Collegiate Schools of Business. Located in Williamsburg, Virginia, The College of William and Mary (W&M) has educated three U.S. presidents: Thomas Jefferson, James Monroe, and John Tyler. The university was established in 1693 by letters patent issued by Queen Mary II and King William III. After Harvard University, W&M is the second-oldest higher learning institution in the United States. W&M established law and medicine graduate programs in 1779, making it one of the earliest higher level universities in the country. Today, students can pursue a variety of undergraduate and graduate programs at the university, including a prestigious online MBA program. The online MBA at W&M consists of 49 credits, 12 of which comprise the core curriculum that covers a variety of topics including organizational behavior, financial and managerial accounting, global managerial economics, and integrated technology. The program features three start dates throughout the year, and courses are delivered in 7.5 week formats. Online MBA students at W&M can earn their degree in as little as two years. The program offers all classes completely online, allowing students to easily access their assignments, communicate with faculty and peers, and view lectures. The online MBA program at W&M functions around Renaissance ideals of a rounded and versatile individual. These ideals lead into the cornerstone course of the program: Renaissance manager. The renaissance manager course teaches students to understand systemic connection as a part of creative problem-solving. The flagship institution of the University System of Maryland, the University of Maryland College Park (UMD) was founded in 1856. A public research university, UMD boasts more than 41,000 students from 123 countries and all 50 states, making it the largest university in Maryland and the Washington metropolitan area. The university offers more than 200 programs across 12 colleges, at both the undergraduate and graduate levels. Students can also pursue online opportunities at UMD, including an online MBA option. Online MBA students at UMD pursue their program within the Robert H. Smith School of Business. Students enjoy access to expert-level instructors, and an alumni network of more than 62,000 worldwide. Learners enjoy a flexible, engaging curriculum that is experientially driven and highly focused. Online students experience the same top faculty and academic rigor that on-campus students enjoy. Throughout the program, students can hone their leadership abilities, and develop high-level analytical and communication skills. The online MBA focuses on data-centric, modern skills, and strategies to create an educational experience that creates real-world value. Students at UMD may further specialize their MBA program by selecting from these concentrations: accounting, finance, information systems and business analytics, supply chain management, or marketing. Students are not required to select a concentration, and may follow the program’s general track. Online students enjoy full access to the same benefits and services as those on-campus. These include career coaching, internship assistance, and resume and cover letter coaching. Located in West Lafayette, Indiana, Purdue University functions as the flagship university of the Purdue University System. The university was founded in 1869, when businessman John Purdue donated money and land to establish a college of science, technology, and agriculture in his name. In 1874, the first classes were held with six instructors and 39 students. Today, the university boasts over 200 undergraduate and graduate programs, including several online opportunities for students requiring more flexibility. Students interested in advancing their business careers can pursue Purdue's online MBA programs. Purdue features a variety of master's programs online, allowing students to access the university's world-renowned education and faculty from anywhere. Online graduate students experience the same rigorous curriculum, and receive the same prestigious degrees as on-campus students. MBA students at Purdue can either pursue a dual master of science in engineering and master of business administration, or a dual master of science in agricultural economics and master of business administration. The 60-credit MSE and MBA program partners with Indiana University and the Kelley School of Business, delivering coursework in three segments: MBA courses, bridge courses, and technical/engineering courses. The agricultural economics and MBA dual program is one of the highest ranked agricultural economics programs in the world, boasting a 99% placement rate at graduation. The curriculum covers a range of topics including macroeconomics policy implications, resource and environmental issues, trade, and development. A private research university located in Villanova, Pennsylvania, Villanova University is the oldest Catholic university in the Commonwealth of Pennsylvania. Named after Saint Thomas of Villanova, the university was founded in 1842 by the Order of Saint Augustine. Today, the university offers an array of undergraduate and graduate programs, including online options for students who require maximum flexibility. Students interested in advancing their business careers can enroll in Villanova's online MBA program. Online MBA students at Villanova can complete their degree within six semesters, taking them two years to finish. The online MBA boasts the same curriculum and same instructors as the on-campus counterparts, and have the same admissions requirements. The only difference that exists between the online and on-campus options is the delivery format. Uniquely, the program allows students to pursue one of the three following tracks: the fast track, flex track, or the online track. All programs within Villanova's business college boast accreditation from the Association to Advance Collegiate Schools of Business (AACSB). Campus-based students at Villanova can transfer into the online MBA program if they maintain good academic standing and live more than 100 miles from the university's campus, or are deployed on a military assignment. The University of Texas at Dallas was established in 1961 as the Graduate Research Center of the Southwest. Renamed the Southwest Center for Advanced Studies, the school became the University of Texas at Dallas in 1969. Known for its rapid growth and rigorous admissions requirements, the university is widely recognized for its research and offers nearly 150 programs across disciplines for undergraduate and graduate students. The university even boasts online options for students seeking program flexibility, including an online MBA option. The university offers several nationally ranked MBA options including a full-time program, a professional MBA flex option, professional MBA evening cohort, professional MBA online, or an executive MBA. The online option allows students to access the same instructors and courses as on-campus students. Students also have the opportunity to obtain a double MBA and MS degree provided they complete a minimum of 63 credit hours and meet all degree requirements for both programs. Applicants to the program must hold a bachelor's degree from an accredited U.S. higher learning institution. Students do not need a business degree to enroll in the program. Bachelor's degree holders from any discipline can apply. Applicants must submit GMAT scores less than five years old, a current resume, a letter of recommendation, and an admissions essay. A metropolitan public research university in Greater Miami, Florida, Florida International University features two campuses in Miami-Dade county, with the main campus in University Park. The university is Miami's first and only public research university offering bachelor's, master's, and doctoral degrees. A top-tier research institution, FIU is one of south Florida's anchor institutions. Among the ten largest universities in the United States, FIU boasts an alumni group of more than 200,000 graduates, with 115,000 living and working in the state of Florida. The university recognizes the need for flexible formats within education and offers several degrees online, including an online MBA program. Students pursuing their professional MBA through FIU online enjoy a rigorous, fast-paced program created to advance students' career opportunities. Well known for its leadership in business education, FIU boasts highly esteemed faculty members. The program follows an entirely online format, allowing students to complete their work from any place, at any time. Courses are delivered in eight-week formats and students select one of three pace options offered by the program. Additionally, the program provides students with the opportunity to tailor their degree to their career goals and personal interests by selecting one of the following concentrations: international business, entrepreneurship and innovation, marketing channel strategy, finance, leadership, real estate, business data analytics, and strategic negotiations. A private Catholic university in Irving, Texas, the University of Dallas was established in 1956 and boasts accreditation from the Southern Association of Colleges and Schools. The school features an 11-to-1 student-to-faculty ratio, attracting students who enjoy individualized assistance within their academic program. The university offers both undergraduate and graduate programs and features several online program options, including an online MBA. Online MBA students at the University of Dallas complete a 30-credit curriculum. Courses are designed to develop both managerial and leadership skills needed to excel in a corporate environment. As 85% of students work as full-time professionals, the online format’s convenience and flexibility are central to student success. Online students can complete their program 100% online. The MBA curriculum covers topics including financial statement analysis, accounting for managers, and accounting information systems. The program allows students to specialize their education toward specific career goals and areas of interest by pursuing a concentration in one of the following areas: global business, information and technology management, cybersecurity, finance, business analytics, and accounting. Each concentration features different coursework requirements. With no concentration, students complete 30 credit hours prior to graduation. If they pursue a concentration, they must complete 42 credit hours of coursework. Nestled in the heart of Hoboken, New Jersey, Stevens Institute of Technology (SIT) also features a satellite campus in Washington, D.C. SIT functions as a private, co-educational research university, and is one of the oldest technological universities in the United States. SIT offers both undergraduate and graduate opportunities to students, and even offers online programs for those who need more flexibility. These online offerings include a prestigious online MBA program. Online MBA students at SIT enjoy a program that emphasizes both the potential and the limitations of technology. The curriculum dives into various topics such as marketing management, leader development, and managerial judgement and decision-making. Through these studies students learn to interpret information to derive effective decisions for the enterprise, while engineering courses in their program offer applied exercises that allow future managers to put theory into practice. Coursework places an emphasis on collaboration through presentations and group projects. This develops students into creative, critical thinkers with the ability to incorporate research in analytics, management, marketing, and innovation. Graduates of the MBA program leave SIT as transformational leaders able to put change into place on a global scale. Graduates understand how to apply technology to business and develop data-driven solutions to in-depth problems, creating useful opportunities for the enterprise. Based in Salt Lake City, Utah, Western Governors University (WGU) operates as an online, private, nonprofit university. Founded by 19 U.S. governors in 1997, the university features a competency-based learning model, and allows students to work entirely online. The university boasts generous transfer requirements, and features a variety of prestigious degree offerings including an online MBA. MBA students at WGU enjoy an affordable program focused on strategy, management, and teamwork. Most MBA students complete their program between 13 months and two years. This flexible program length, combined with a flat $3,800-per-semester tuition rate, allows students added control over the cost of their degree. The online MBA program serves experienced business professionals interested in advancing their careers. The online MBA program benefits students interested in further developing their depth of knowledge, strategy, and business acumen. The curriculum emphasizes principles of effective leadership and management, maximizing performance, and improving the bottom line. Applicants to the program must hold a bachelor's degree from an accredited institution, provide transcripts, and submit a resume demonstrating a minimum of three years of experience denoting significant exposure in business, nonprofit, or industry. Graduates of the program go on to pursue careers as executive directors and chief strategic officers. Producer of Pulitzer prize winners and Fulbright Fellows, Lehigh University in Bethlehem, Pennsylvania operates as a private research university. Established in 1865, the university has been co-educational since the 1971-72 academic year. Today, students at Lehigh enjoy undergraduate and graduate opportunities with online options, including an online MBA. Online MBA students enroll in a program providing an unparalleled level of flexibility to active professionals. Students have the daily option to participate on-campus or online through the programs unique ClassroomLIVE experience. The flex program exists for students who want to pursue part-time enrollment. The business college boasts Association to Advance Collegiate Schools of Business accreditation. Graduates of the flex MBA program are prepared to work as dynamic leaders who are both globally aware and business savvy. Students must complete the following prerequisites: principles of economics, statistics, and financial accounting. The 36-credit curriculum starts with a mandatory weekend orientation, and concludes with a capstone course, drawing upon the knowledge acquired during the program. Coursework covers a variety of topics including managing information, managing people, financial reporting for managers and investors, and basic statistics for business and industry. American University (AU) operates as a private research university in Washington, D.C., with a sprawling, 90-acre main campus. The university’s goals have and will remain grounded in becoming a leader in changing the world. Students can explore an array of program options including online opportunities, including an online MBA option. Online MBA students at AU graduate the program prepared to apply financial analysis and leadership skills to help businesses operate more effectively across a range of industries. Although the program features a primarily online format, students must complete in-person immersions, allowing them to learn from top experts in business capitals around the world. Students enjoy the opportunity to choose their own elective courses to personalize their learning toward their specific, unique career goals. Students must complete 48 credit hours of coursework comprising 12 core courses, three elective courses, and two in-person immersions. Coursework covers a variety of topics including financial accounting, managerial economics, and strategic decision making. Students can further specialize their degree to their personal interests and career goals by choosing one of six concentrations: business analytics, finance, consulting, international business, cybersecurity, and marketing. A private, nonsectarian, nonprofit university in San Francisco, California, Golden Gate University (GGU) was founded in 1901. The university specializes in educating professionals through its schools of business, taxation, law, and accounting. The university offers two undergraduate degrees and 15 graduate degrees, including an online MBA. Students pursuing their online MBA at GGU earn a quality education that blends essential soft skills like communication, team building, and executive presentation, with career business disciplines. The program works to advance students business knowledge and acumen. MBA students tailor their degree to their personal goals and career interests by selecting one of 13 available concentration options, including accounting, business analytics, marketing, and public administration. To graduate from the program, students must complete 54 credits of coursework covering a variety of topics such as personal leadership, economics for managers, and communications and presentations. Applicants do not need to submit GMAT or GRE scores if they hold more than five years of professional work experience and a bachelor's degree from a regionally accredited institution. Applicants with less than five years of experience must submit test scores. Graduates of the program hold general management skills, and have learned to use a holistic approach that demonstrates integrated business level planning. Online MBA degree programs have grown in popularity in the past few years, and each provide the skills and knowledge you need to obtain a leadership position in the business world. While certain details are dependent on the particular school and program you choose, this guide provides a clear framework to work with as you do research and decide which option is best for you. Online MBA programs build upon undergraduate business topics and tend to be similar in order to meet accreditation guidelines. Certain courses depend on the history and focus of the school you choose as well as the interests and expertise of the faculty. Below are some classes you can expect to take in your MBA curriculum. Information Technology: This course provides students with an in-depth look at information systems management issues, including support applications, systems acquisition, best practices in implementation, and other topics needed to thrive in a global economy as a team leader and social media analyst. Students usually analyze case studies to come up with solutions for new or existing business initiatives in order to improve consumer, enterprise, and social technologies. Financial Accounting: A fundamental course in the online MBA curriculum that prepares students to be managers and accountants, among other positions. This course emphasizes contemporary practices in financial accounting and reporting systems, including the evaluation and interpretation of a company's external fiscal reports. Students also focus on the accounting cycle, profitability analysis, the structure of financial statements, and changes to the field. Strategic Management: In this course, students study the fundamental practices of integrating decisions into functional areas of business, including the formulation of strategy and policy within the organization. Students also learn to develop and implement a specific management plan, using case studies as examples. This course prepares students to be effective team leaders in a variety of business environments and is usually a prerequisite to more advanced management classes. The total number of credits needed to earn the degree vary depending on the program. The majority of online MBA programs require 48 to 62 credits. Students usually finish their degree in approximately two years if they take classes full-time. Part-time students take about three years, and most schools allow students to take as long as five. The length depends on certain degree requirements, including prerequisites and capstone projects. For online degrees, it's important to look at what kind of on-campus requirements, if any, are required. This may depend on whether an MBA program subscribes to a cohort learning model, where students work in teams with their peers and progress through the degree together, or if they value the increased flexibility of asynchronous learning. Society of Human Resource Management (SHRM) Certification: The SHRM is a globally recognized measure of expertise in the human resources field. The exam is divided into two levels: the certified professional or the senior certified professional. The levels are based on the education an applicant has as well as the amount of work experience they wield. The SHRM exams are competency-based, universally-relevant, and backed by the premier professional organization in the field, which means those who earn the credential can use it to pursue a variety of HR positions worldwide. Certified Public Accountant Certification: The CPA license is the oldest and one of the top credentials in the accounting and finance industry. This certification validates your expertise in forensic accounting, compliance, risk management, taxes, and others. A minimum of 150 education hours are needed to sit for the exam, and the cost ranges from $2,000 to $3,000. While the General Management Admissions Test (GMAT) is a standard requirement of many online MBA programs, many schools are offering applicants ways around taking it. While the GMAT is a good indicator of a student's capability in a business school, it is not an accurate representation of talent, drive, or success after graduation. Applicants with an exceptionally high GPA, another graduate level degree, and/or a long history of work experience, may find that they are automatically exempt from taking the GMAT or that they can apply for exemption based on a case-by-case basis. Top scorers of the GMAT clock approximately 120 hours of study, and sometimes more. How you divide up those hours is up to you, but you should proceed with a detailed plan for studying, spending the appropriate amount of time on each area. Test areas include verbal competence, sentence correction, statistics, economics, and data sufficiency. The test also measures overall critical reasoning and problem solving skills. Perhaps the best advice is to practice as often as possible in order to get used to the materials and to the computerized test environment. Success may also entail taking the GMAT multiple times, so plan for that as you research MBA program applications. Founded in 1919 in Wellesley, Massachusetts, Babson offers a world-class business education with an emphasis on entrepreneurship. The school features a blended learning online MBA with no GMAT requirement that is part of its working professionals program. In lieu of GMAT scores, applicants are considered based on previous work experience. They must also submit an online application, an essay, transcripts, two letters of recommendation, and a resume to be considered. 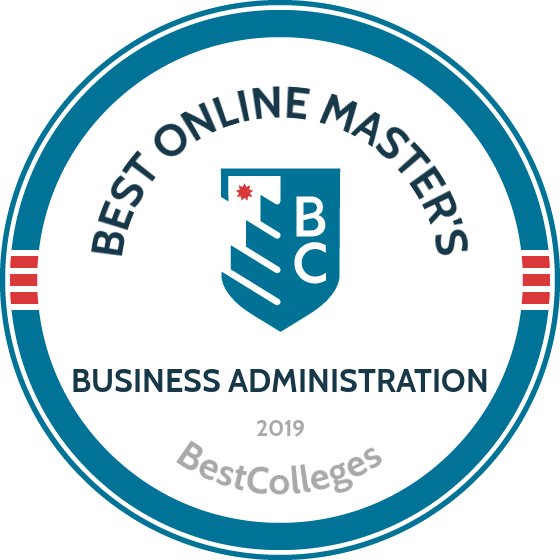 Babson's online MBA emphasizes business concepts such as value creation, organizational effectiveness, and entrepreneurial thinking and prepares students for management roles in a variety of industries. This program is ideal for working professionals, allowing them to earn their degree in just under two years of part-time study. Online classes are delivered in both asynchronous and synchronous instructional formats, and students can also attend on-campus sessions every seven weeks. Walsh offers an online MBA with no GMAT requirement that includes 14 courses on topics like managerial accounting, marketing fundamentals, and business analytics. This degree prepares students for upper-management positions and includes a curriculum that familiarizes students with global economics and the use of information technology in business. Students must complete a leadership communication courses and take a graduate communication assessment prior to enrolling in the course. This can be completed locally at an approved testing center or on-campus. Distance learners have the option of earning a dual MS degree in areas such as finance or marketing by completing up to six additional courses. This online MBA considers applications based on previous academic and work experience. Applicants must have a minimum undergraduate GPA of 2.75 and two years of relevant work experience to be considered. Illinois boasts more than 425,000 global alumni and 23 Nobel Prize winning graduates. The school offers one of the leading online MBA programs with no GMAT requirements, although they are recommended. This online program can be completed in two to three years and includes core specializations which each include three classes and a capstone project. This online MBA delivers courses through global classrooms that feature weekly live sessions for students from around the world. The program is organized using a cohort model, although students have the option of enrolling in stand-alone courses prior to admission. Applications are considered based on a student's undergraduate performance, professional experience, letters of recommendation, and essay responses. Applicants must have an undergraduate GPA of at least 3.0 and a minimum of three years of work experience in operations or management to be considered. A Jewish-sponsored university system founded in 1970, TUW currently serves more than 19,000 students each year and offers flexible professional programs that are ideal for working adults. The school offers an online MBA with no GMAT option that includes six start dates throughout the year. Students can pursue one of eight concentrations on topics such as accounting, cybersecurity management, or marketing. This 36-credit curriculum consists of nine core classes and three courses in a student's chosen concentration. The core curriculum includes courses on a variety of topics, such as contemporary marketing, ethics for business professionals, and management across cultures. Applicants must have an undergraduate GPA of at least 2.5 to be considered. Transfer students may apply up to 25% of their previously earned credits towards their degree, as long as they were earned with a minimum GPA of 2.75. UT Dallas offers a variety of programs that are ideal for working professionals, including an online MBA with no GMAT requirements. This 53-credit MBA program includes 30 credits of core coursework and 23 credits of electives. These courses cover a variety of topics, such as financial management, statistics and data analysis, and managerial accounting. The program includes a global business course that examines factors that influence international business, providing students with an understanding of the global monetary system and international trade. This program features three start dates throughout the year and allows students to enroll on a full- or part-time basis. Student may receive a GMAT waiver if they have earned a degree from an AACSB accredited business school with a minimum GPA of 3.6 during their last 60 credits of coursework. Webster is headquartered in Stl. Louis, Missouri, and offers a wide variety of distance learning programs, including an online MBA with no GMAT requirements. Students must choose one of several concentrations, including environmental management, media communications, or a generalist option. Prospective students must complete prerequisite coursework on the following topics before entering the program: business, accounting theory and practices, and current economic analysis. The generalist program's 36-credit curriculum includes core courses on topics like organizational behavior and advanced corporate finance. Students enrolled in the international business concentration must complete a total of 65 credits of coursework, while those pursuing a concentration in project management only need to complete 39 credits. Webster also offers a one-year MBA for those who have a minimum undergraduate GPA of 3.0. Those enrolled in this one-year program have the opportunity to form international networks with other students and to enroll in leadership development and communication courses. FIU is Miami's exclusive public research institution and one of the largest universities in the U.S. with a student body of approximately 54,000. The school offers an online MBA in healthcare that is one of the best online MBAs programs with no GMAT requirement. The program's online format promotes peer engagement in an interactive distance learning atmosphere. It also boasts a 100% employment rate among graduates. The 120-credit curriculum includes courses on a variety of topics, such as health policy and economics, corporate finance, and operations management. Students must complete two residencies in Miami, as well as a third online residency that emphasizes Lean Six Sigma. Applicants must have at least two years of work experience and a minimum GPA of 3.0 during their last 60 credits of undergraduate coursework to be considered. Amberton offers flexible program that emphasize professional training and individualized support that are ideal for working adults. The school offers a 36-credit online MBA with no GMAT requirement that consists of two graduate studies courses in ethics and research, as well as 30 credits of major coursework on topics like economics, finance, and strategic management. Students can enroll in electives that reflect their professional interest, with courses available on topics such as social media in business, global economic issues, and teams and technology. Graduates are able to apply business concepts and strategies that promote efficient operations, preparing them to pursue management positions in a variety of organizations. Applicants must complete four prerequisite courses in areas such as statistical analysis and managerial accounting and finance to be considered. Amberton is accredited by the Southern Association of Colleges and Schools Commission on Colleges. Founded in 1893 in Washington, D.C., American was one of the few schools to welcome women and African Americans from its beginning. Its diverse roots are evident today, with students who hail from more than 150 countries. The school offers a variety of fully online graduate programs, including a 48-credit MBA that can be completed in just 15 months. It is one of the best online MBA programs with no GMAT requirements and is ideal for both emerging and established professionals. The curriculum emphasizes an integrative approach to learning and includes courses on topics like business law, managerial statistics, and management information systems. Student must complete 12 core courses and three electives and have the option to concentrate in one of five areas, such as business analytics or consulting. The program includes two required immersion experiences, which involves attending training events in Washington D.C. and other business capitals around the world. NU is a private research university that was founded in 1898 in Boston, Massachusetts. The school offers a variety of distance learning programs, including an online MBA with no GMAT requirement. This 50-credit online program includes 13 core courses and five electives. Electives can be completed in any area of business, such as finance, international management, or high technology management. They also have the option of choosing one of the program's eight concentrations, which cover topics like innovation entrepreneurship and sustainability. Applicants must have at least five years of managerial experience and an undergraduate degree from an accredited university with a minimum GPA of 3.0 to be considered. While GMAT scores are not required for admissions, prospective students must provide official transcripts, a resume, two letters of recommendation, and an essay. Bellevue is a private, nonprofit university that was founded in 1966. The school serves more than 10,000 students each year and offers a variety of distance learning programs, including one of the top online MBA programs with no GMAT requirements. Students learn how to become ethically-minded professionals who possess crucial communication, critical thinking, and problem-solving skills. The 36-credit curriculum includes several foundation courses on topics such as business performance management, marketing and new media strategy, and operations and logistics. Students must complete at least 30 credits at Bellevue to graduate. All online students pay the same tuition rate, regardless of residency. The school offers more than 15 concentrations, allowing students to customize their degree to fit their career goals. Bellevue is accredited by the Higher Learning Commission. LMU was founded in 1897 in the scenic Cumberland Gap of northeastern Tennessee. The school offers one of the region's best online MBA programs with no GMAT requirement. This 36-credit program can be completed entirely online and includes coursework on human resource management, business strategy, and organizational leadership. Students can pursue one of the following concentrations: accounting, finance, management, marketing, or sports management. LMU faculty provide a student-centered learning environment that promotes inclusion and teamwork. In place of the GMAT, students must complete the peregrine entrance exam during their first semester of the program. Other admissions criteria include three letters of recommendation, a 500-word essay, resume, and an undergraduate degree with a minimum GPA of 2.75. LMU is accredited by the Southern Association of Colleges and Schools Commission on Colleges. UD is a private Catholic university that was founded in 1956 in Dallas, Texas. The school offers a 30-credit online MBA that is one of few online MBA programs with no GMAT requirement. This program emphasizes skills training and is ideal for those seeking managerial positions. Students can pursue one of six concentrations, each of which includes four additional courses. These concentrations cover topics such as cybersecurity, information and technology management, and finance. The curriculum includes courses on a variety of topics, such as business analytics, managerial finance, and global strategy. This program includes a capstone experience that allows students to enhance their consulting skills by working with an organization to address a strategic problem. UD is accredited by the Southern Association of Colleges and Schools Commission on Colleges and the program is accredited by the Association to Advance Collegiate Schools of Business. CU Anschutz offers an online MBA with no GMAT requirement that is the largest in the state, offering several innovative teaching strategies that are ideal for distance learners. This program includes internship opportunities that promote experiential learning, equipping students with real work experience. The program can be completed as a generalist degree or with a specialization in a specific field of study, such as finance, enterprise technology management, information systems, or managing for sustainability. This 48-credit program includes 30 credits of core coursework and 15 credits of electives. The curriculum emphasizes the development of leadership skills and includes courses on a variety of topics, such as data analysis, economics, operations, and international business. Students are not required to complete a thesis or comprehensive exam to graduate. CU Anschutz is accredited by the Higher Learning Commission. GMU is the largest public research institution in Virginia with a student body of over 34,000. The university offers more than 50 hybrid and online programs, including a MBA program that can be completed in 20 months. This 48-credit program includes core coursework on a variety of topics, such as managerial economics, organizational behavior, and operations management. Beyond foundational courses, the program features a variety of electives ranging from investment analysis to data mining for business analytics. Students can also complete an optional global residency, which allows them to spend a week abroad working with various companies and collaborating on a team project. This online MBA includes no GMAT requirements and instead has three eligibility criteria: a bachelor's degree from an accredited college, a minimum of two years of relevant full-time work experience, and completion of a prerequisite course in college-level calculus. UWF is located in Pensacola, Florida, and offers 18 online graduate degrees, including an online MBA with no GMAT requirements. This 33-credit program includes coursework on a variety of topics, such as business and policy, business analytics, and financial management. Prospective students who have a minimum undergraduate GPA of 3.25, or those a GPA of 3.0 and eight or more years of professional experience, are not required to submit GMAT scores. The GMAT is also waived for applicants who pass all four components of the CPA exam or those with a doctorate or master's degree in accountancy or a STEM field. Other eligibility criteria include a bachelor's degree from a regionally accredited university with a minimum GPA of 3.0, a resume, and two letters of recommendation. Those with an undergraduate GPA below 2.75 may be admitted if they have at least eight years of professional work experience. Syracuse is a private research university that was founded in 1831 in Lima, New York. Today, the school offers an online MBA with no GMAT requirement that is ideal for working adults. Applicants who are business and military professional with at least five years of relevant work experience are not required to submit GMAT scores. This 54-credit program includes 36 credits of core coursework on topics such as data analysis and decision making, marketing management, and microeconomics. They must also complete 15 credits of electives in areas like brand management and project management. Students may also pursue one of the programs six concentrations: accounting, business analytics, entrepreneurship, finance, marketing management, or supply chain management. Syracuse is accredited by the Middle States Commission on HIgher Education and the program is accredited by the Association to Advance Collegiate Schools of Business. MUM emphasizes consciousness-based education in all of their degree programs, each of which employs transcendental meditation techniques. The school features a one-of-a-kind online MBA in sustainable business with no GMAT requirements. The curriculum includes coursework in meditation for dispute resolution and creative intelligence modules, which familiarize students with consciousness-based education. Distance learners are expected to practice transcendental meditation daily. This 58-credit program can be completed in three years, with courses delivered in conjunction with an on-campus evening MBA program. Students watch live online lectures or participate asynchronously by viewing the recorded lectures at a later time. While the GMAT is not required for admission, it is recommended. Applicants must have an undergraduate degree with a minimum GPA of 3.0 to be considered. Those with a GPA below 3.0 may be admitted if they provide strong GMAT scores. TESU is the premier public institution of higher education in Trenton, New Jersey, that offers a variety of distance learning programs that are perfect for working adults. The school offers one of the top accelerated online MBA programs with no GMAT requirements in the country. While prospective students are not required to submit GMAT scores, they must complete prerequisite courses in financial accounting, microeconomics, and statistics before entering the program. The curriculum includes core coursework on a variety of topics, such as ethics for managers, financial management, and global strategic management. Applicants must submit official transcripts, a resume, and an essay outlining leadership goals. They must also have an undergraduate degree from a regionally accredited college with a minimum GPA of 3.0 and at least two years of professional experience in a management position or related area to be considered. Those with a bachelor's degree in business may be admitted with less work experience. Embry-Riddle is a leader in distance learning and launched is worldwide campus in 1971. Its online learning platform features flexible start dates, including 10 graduate terms throughout the year and nine-week sessions. The university offers one of the only online MBA programs with no GMAT requirement that emphasizes the aviation industry. The GMAT is waived for applicants who have a master’s degree or significant work experience relevant to the field. This 33-credit program prepares graduates for managerial positions and features six concentrations: accounting, finance, leadership, information technology, marketing, and international business. The curriculum includes courses on a variety of topics, such as economics, international business, and operations research. This program integrates core business theories with aviation concepts, such as airline marketing and aviation systems analysis, concluding with a comprehensive exam that assesses a student's knowledge of core program theories. TAMUC features an inclusive online learning environment that promotes creativity, innovation, and professional advancement. The school offers an online MBA with no GMAT requirements that has both a 30-credit and 48-credit format. The 30-credit program is ideal for students with an academic background in business and consists of six management courses, two information analysis courses, and two electives. Students who do not meet program prerequisites must enroll in the 48-credit program. These prerequisites include several business courses in areas such as accounting and finance. Students can also complete four additional courses in one of the program's 13 areas of emphasis, which cover topics like business analytics, digital marketing, and health economics. Applicants must have an undergraduate degree with a minimum GPA of 3.0, or 3.25 in their last 60 credits of coursework, to avoid the GMAT score requirement. Other admissions requirements include submitting an application, official transcripts, and one letter of recommendation. La Verne is a private nonprofit university that was founded in 1891. The university emphasizes social responsibility and includes programs that encourage peace, social justice, and ethical reasoning. The school offers a variety of distance learners, including one of the West Coast's top online MBA programs with no GMAT requirement. This fully online program is ideal for professionals with at least three years of full-time work experience. The 33-credit curriculum includes 18 credits of core coursework and 12 credits of electives or concentration classes. Core courses cover a variety of topics, such as technology management, strategic marketing management, and global business management. Students can customize their degree with a concentration in areas such as accounting, management and leadership, or marketing. While an undergraduate degree in business is not required, students must complete foundation courses prior to pursuing this degree. CSUSB offers an online MBA that includes no GMAT requirement. This program can be completed in just 18 months and includes two foundational courses in data-driven decision making and advanced managerial communications. These courses prepare students for the essential components of the program, which include seven core courses, two electives, and a culminating experience. Applicants must have a minimum of five years of work experience in a business field and an undergraduate degree from a regionally accredited institution with a minimum GPA of 3.0 in their final 90 credits of coursework to be considered. CSUSB is accredited by the Western Association of Schools and Colleges and the program is accredited by the Association to Advance Collegiate Schools of Business. Mizzou serves 75,000 students each year and promotes lifelong learning, professional growth, and societal wellbeing in all of its academic programs. The school offers an online MBA with no GMAT requirements that mirrors the school's mission to generate economic development. Graduates are prepared to pursue careers as chief executive officers, sales directors, and operations managers. This 48-credit program can be completed in just under two years and covers topics like business analytics, leadership development, and strategy and innovation. Students enroll in four eight-week courses per semester that are delivered entirely online. However, the program includes four campus visits per year, as well as an international residency where students travel to two global location over the course of nine days. Applicants must have at least five years of relevant work and leadership experience to be considered. They must also submit an application, official transcripts, a resume, and a 500-word personal statement. Located along the Delaware River, Wilmington offers a variety of distance learning programs that are ideal for working professionals who want to advance their careers. The school offers one of the best online MBA programs with no GMAT requirements in the Northeast. This flexible program features an accelerated format where students complete a series of seven-week courses. The 36-credit curriculum is divided into seven core courses and five concentration courses. Students can choose from the program's numerous concentrations, which includes options like business technology management, environmental sustainability, and homeland security. Students also have the opportunity to replace concentration courses with electives and receive a generalist degree. Applicants must submit official transcripts and schedule a meeting with the program director to develop their plan of study. They do not become candidates for the MBA program until they complete four business courses, including classes on organizational behavior and ethical leadership. National recognition is the baseline standard all nonprofit, accredited online MBA programs must achieve in order to have any validity. This designation is conferred by the United States Department of Education (DOE) and/or the Council for Higher Education Accreditation (CHEA). The next form of accreditation comes at the regional level and is the most important. It means the particular college or university adheres to specific standards set forth by the state or consortium of state in which it operates, a necessary stamp of approval for most employers. There are seven regional accreditation bodies. The best online MBA programs will have national, regional, and industry-specific accreditation. Business students should look for programs recognized by the Association to Advance Collegiate Schools of Business (AACSB), the oldest and most well-respected organization in the field. The Accreditation Council for Business Schools and Programs (ACBSP) is another professional organization of this kind. Though newer, the ACBSP is growing in popularity and prominence among the top online MBA programs. National accreditation is the standard form of recognition for all online MBA programs and is conferred by the DOE and the CHEA. Both organizations work to establish and ensure academic and professional quality that nonprofit colleges and universities must gain, and reobtain every three to five years. The DOE and CHEA are also in charge of establishing the legitimacy of regional accreditation organizations, such as the New England Association of Schools and Colleges and the Higher Learning Commission. For more information of DOE and CHEA recognized schools, visit their websites. According to the BLS, the management sector is expected to grow by 6% — or roughly 807,300 jobs — between 2016 and 2026. This growth rate on par with the projected rate for all industries, and those who earn an online MBA enjoy a more favorable employment rate than their counterparts with lesser degrees. A recent survey by the Georgetown University Center on Education and the Workforce revealed a significant difference in job placement rates between recent bachelor's graduates, experienced bachelor's graduates, and candidates with advanced degrees. Using data from this survey, the table below looks at these differences in five niche areas of business. As shown in the table above, the average unemployment rate was 4.5% for MBA-holders all five fields, compared to 7.2% for recent bachelor's graduates and 5.2% for experienced bachelor's graduates. The low unemployment rate for candidates with an MBA is partially due to the relatively low number of business professionals who earn a master's compared to those who complete their studies with an undergraduate degree. According to the BLS, masters-holding employees make up 17% to 23% of MBA-friendly occupations such as marketing and sales managers, financial managers and marketing research analysts, and marketing specialists. In addition to better employment rates, MBA graduates also enjoy higher earning potential than their bachelor's-holding colleagues. The CEW survey found that business professionals stand to earn an annual salary of roughly $84,000; by comparison, recent bachelor's graduates make $39,000 per year and experienced bachelor's graduates pull in $63,000 on a yearly basis. However, the wage premium for an MBA salary will vary by their specific business field. The following table uses data from PayScale to compare the average entry-level salaries of these two groups in different areas of business and management. The table above reveals a 44.25% average wage premium for master’s graduates in all eight professional fields. The next table features expected annual salaries for these eight MBA concentrations at five different career benchmarks. MBA-holders with a concentration in marketing and management enjoyed a career salary increase of 178% between the entry-level and late-career marks -- the highest wage premium of all eight concentrations listed in the table above. Other MBA concentrations with high salary increases include finance (144%), international business (137%), general business (126%), business administration (118%), and human resources (112%). Graduates from accredited online MBA programs will qualify for dozens of jobs after leaving school, although individual eligibility will depend on their degree specialization. Some of the most common career pathways for MBA-holders are listed below. Financial Managers: These managers oversee all of the financial activities of a company or organization. They develop short- and long-term budget plans, and often provide guidance to top executives about asset management and investment opportunities. Specific organizational roles for financial managers include chief financial officers (CFOs), controllers, treasurers, and insurance managers. Human Resources Managers: Human resources managers (HR managers for short) are responsible for their company's administrative activities. They often lead HR personnel teams in the recruiting, screening, interviewing, hiring, and training of new employees. HR managers also meet with executives to discuss strategies for pursuing top talent. Advertising, Promotions and Marketing Managers: These managers work with other personnel -- including creative directors, financial officers, and salespeople -- to help companies generate public interest in the products they sell. They often take the lead in major advertising campaigns, and conduct post-project evaluations to determine areas of potential improvement. Top Executives: Executives oversee all operational activities of their firm, from finances and budget planning to marketing campaigns. Their day-to-day duties depend on the size of their company or organization. Specific executive roles include the chief executive officer (CEO), the chief operating officer (COO), and operational manager. Making professional connections and learning about different approaches to business administration is crucial to your success. Professional organizations offer a great entry point for students who want to learn more about their chosen career path. Below you'll find three of the country's most prominent organizations established for business professionals. These organizations host networking events, provide online trainings, maintain active job boards, and offer other services for career-ready college graduates. Resources like these often prove invaluable as you complete your degree requirements and prepare to enter the job market. Association of MBAs: Based in London, AMBA is the only international organization specifically dedicated to educating, supporting, and connecting MBA graduates across different industries. Members are given a platform to network with fellow MBA-holders from more than 200 accredited business schools. Other benefits include continuing ed opportunities through the AMBA career center and access to online webinars. National Association of Women MBAs: This not-for-profit organization is aimed at female business students, established professionals, and entrepreneurs who have earned an MBA. The NAWM specializes in four core areas: education and professional development; mentorship; networking; and collaboration. Members are invited to attend the organization's annual conference, and local chapter meetings are held throughout the year. National Black MBA Association, Inc.: Founded in 1970, the NBMBAA represents more than 30,000 members in 74 professional and collegiate chapters. With the aim of empowering minorities in the business world, the organization has awarded more than $5 million in scholarship aid to minority high school and college students. Despite the relative affordability of online MBA programs, most students still need financial assistance. Students should complete a Free Application for Federal Student Aid (FAFSA) form to learn more about loans, grants, and other opportunities offered through the U.S. government. Additionally, private grants and scholarships are widely available through nonprofit organizations, companies, and other sources. Check out our collection of resources below to learn more about financial aid options. Supply chain management is a field that encompasses the materials, facilities, finances, and information that comprise day-to-day operations for any business or organization. Be sure to check out or ranking of the country's top master's degree programs in supply chain management. Finance -- the study of money and asset management -- is one of the most popular degree concentrations for MBA students. Learn about the best schools for this area of study with our comprehensive degree guide. Another popular specialization field for MBA students, human resources (or HR) focuses on hiring, new employee orientation and other administrative needs. Visit our guide to master's degrees in HR for more information. Our page dedicated to resources for business students includes links to professional organizations, open courseware, industry publications, books, and business-minded users to follow on Twitter. Our career page for business degree graduates includes a state-by-state breakdown of business careers and academic options for business students, as well as popular job sites, professional organizations and continuing education opportunities for established professionals.